After Omega reissued 60th anniversary pieces last year, its trilogy series has been flooding the watch media. As a result, the 2913 Seamaster has received considerably greater attention recently, with today’s market eating up any examples in decent condition very quickly. This makes Meertz’s 1958 CK2913 here quite a rarity. This broad-arrow is the most desirable 2913 variation. It comes unpolished with original parts all round. The dial is so well-aged that it nearly looks replicated. Upon observing the macro images uploaded, however, it clearly is original. The beautiful nadir crown sits proudly offset from an unpolished 39mm case. Its cal 501 movement appears hardly worn and rarely opened. 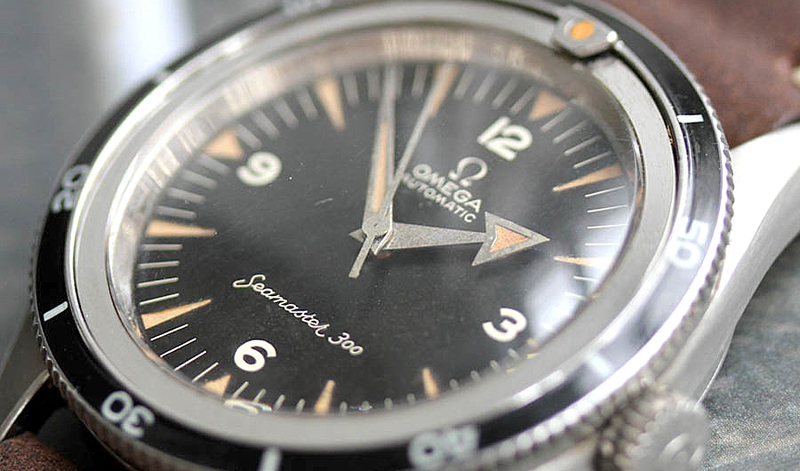 This 2913 is a gorgeous piece of Omega’s history, an icon to all dive enthusiasts. Find this Seamaster here for an undisclosed sum.